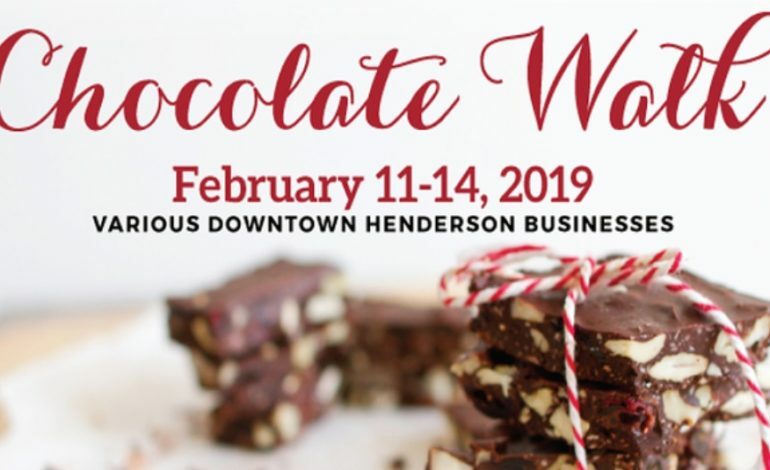 The Downtown Henderson Partnership is presenting the annual Valentine’s Chocolate Walk from February 11th to 14th. Attendees can shop at downtown retailers, and for every $25 spent (pre-tax), shoppers can enter for a chance to win a $50 gift card to any DHP member restaurant and a $50 gift card to any DHP merchant member. Shoppers can sample chocolates at each participating locations.